My 29th birthday was memorably depressing. I was soothing a boyfriend break-up, and my office “forgot” me. All day I waited for a cake that never came. Living in California with no family around left me at home by myself on a rainy night eating a Lean Cuisine. There was so much wrong with this picture. Although I had much to celebrate and was really doing quite well in life (as life goes), I still fell into the birthday pit. Spinach Tiger is called “Tiger” for a reason and I vowed to never let this happen again. When I turned 30, I threw my own party, made my own food, ordered my own cake, and never again returned to the birthday pit. It didn’t end there. I have taken stock in all birthdays. If you are my friend, I will bake you a birthday cake, throw you a party, and cook you a dinner. It’s what I do because I believe a life is worth celebrating and everyone has value. I will make you a fruit tart of your choice. It’s fun. It involves favorite foods and favorite cocktails. And, it’s good medicine. All your troubles go away on your birthday. A while back we celebrated a friend’s birthday with this delicious tart. I used fresh berries. The pastry cream was made in an unusual way, and it got thick really fast. But, it was delicious and it holds all this fruit without the crust ever getting soggy. The pastry crust is like a shortbread, perfectly sweet and sandy. There is a temptation to bake it past 25 minutes. Don’t. Ingredients matter. This tart is all about the fruit. Only use the best pick of the season. I used blueberries that were picked on Wednesday and they were super sweet on their own. The finishing touch comes from a Bonne Maman four-fruit preserve, but you could use any high quality jelly or jam to brush the fruit. 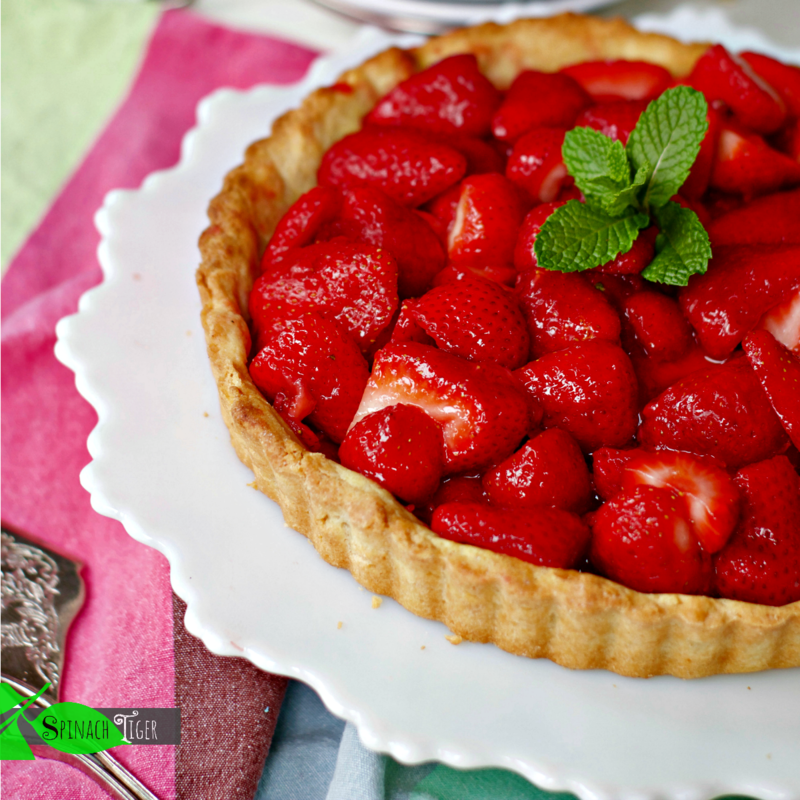 If you want to make a no pastry cream tart, try this strawberry tart. 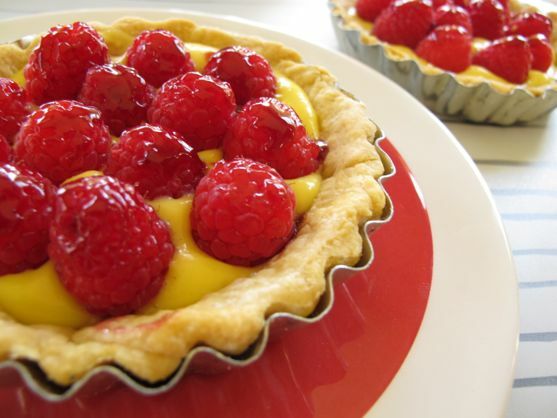 If you want to make a Raspberry Tart, try this recipe. 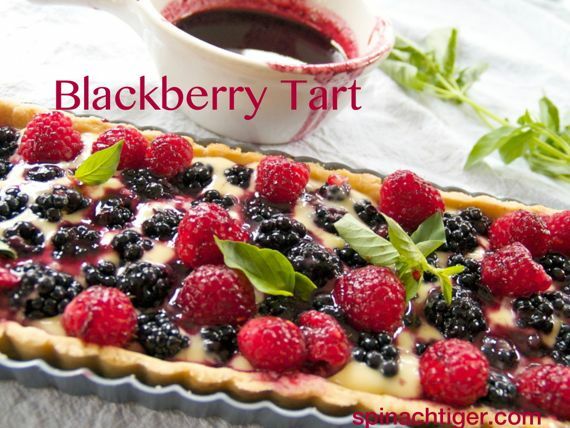 If you want to make a blackberry tart, try this recipe. 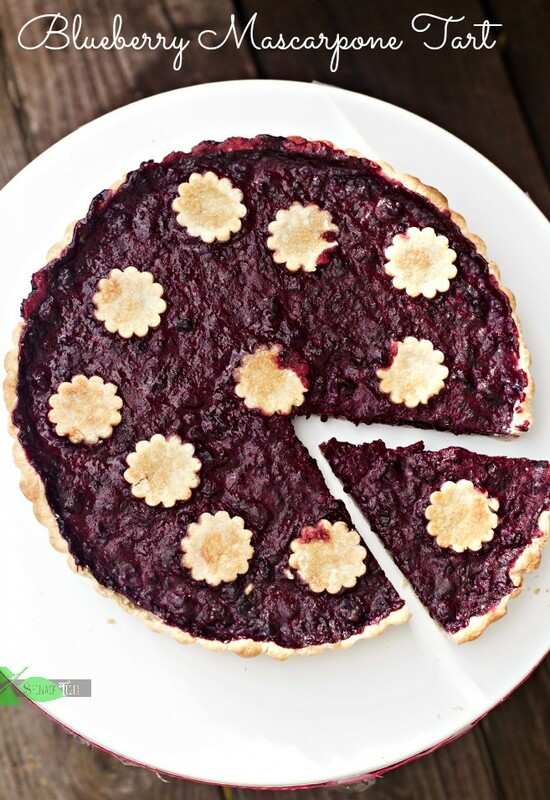 If you want to make a gluten free mascarpone blueberry tart, try this recipe. I believe birthdays are important I too do it big for me and friends. I usually celebrate from 8/23 – 9/23…Great tart!!!! Beautiful pics!!! I tend to like my own birthday quiet, but love celebrating friends on their birthdays. I just hosted a 30th birthday for a dear friend and had so much fun planning! 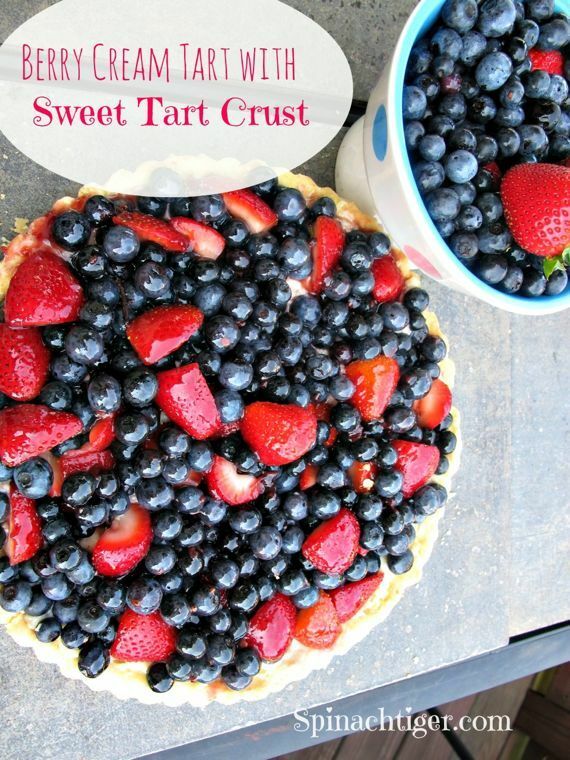 This tart is perfect for a party. One thing you could do is make pavlova.